It wasn’t even four years ago that Chrysler seemed beyond saving — and it almost wasn’t. With a loan from the feds and a shotgun marriage to Fiat, the fate of America’s oft-troubled carmaker was consigned to the hands of Sergio Marchionne. Call it foresight, or call it luck. In retrospect, it doesn’t really matter. What counts is Chrysler’s position today. Through September 2012, the company has seen thirty consecutive months of year-over-year sales increases. Sales shot up 24 percent in the first three quarters of 2012. That handily outpaced the recovering industry (up 15 percent), just as Chrysler did in 2011 (up 26 percent, versus 10 percent for the overall market) and in 2010 (up 17 percent, compared with 11 percent for the industry as a whole). And it’s not just sales that are better; the products are better, too. Coming out of the new-product drought of the Cerberus years, Chrysler has staged a remarkable showroom renaissance, with a new Jeep Grand Cherokee, a greatly upgraded Dodge Charger and Chrysler 300, the return of the Viper, and notable enhancements to the carryover models. The Italian connection is also starting to pay off, with the successful launch of the Fiat brand in the United States and the arrival of the first U.S.-brand product to use a European platform, the highly regarded new Dodge Dart. This remarkable turnaround is, by and large, the achievement of one man: Sergio Marchionne, a lawyer and accountant of Italian-Canadian descent and one of the shrewdest operators of the trade, even though he had absolutely nothing to do with automobiles until his nomination to the Fiat Auto board of directors in 2003. Marchionne loves driving fast cars, including his Ferrari Enzo and Charger SRT8, but that doesn’t automatically make him a car guy. Quite the contrary: Marchionne is in fact predominantly a numbers man, a highly professional juggler of assets and opportunities, much more a specialist in exchange rates, legal loopholes, and government subsidies than a nuts-and-bolts aficionado. But unlike too many of his fellow leaders, the world’s best-known supporter of the Italian sweater industry knows how to delegate. 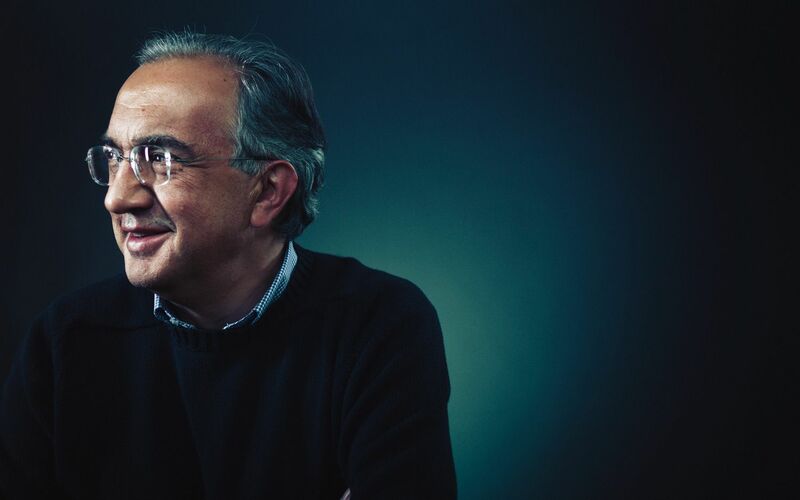 He hired Saad Chehab when he was still in creative services at Ford, pushed him through a short trial period, and then crowned him president and CEO of the Lancia and Chrysler brands. Simultaneously, he promoted a handful of talented group veterans: Mark Chernoby to R&D chief, Ralph Gilles to senior designer and man in charge of SRT, Reid Bigland as the driving force behind Dodge, and Michael Manley as head of the Jeep brand.